Today, I get the chance to respond to some of the fantastic letters you’ve sent over the past couple weeks. To those of you who have sent in questions or comments, thank you! I’ve enjoyed reading them and have learned a thing or two about the unique Kiwi market. I always try to address the questions in Money Morning New Zealand if I can. And if you’ve been disappointed that you haven’t received a reply, I apologise. Due to regulations from the Financial Markets Authority, I have to be very careful when replying personally…as it could be construed as ‘personal advice’. Everything we publish is what’s called ‘general advice’…meaning we can’t take your personal situation into consideration, even if we wanted to. I hope that explains our business model to a degree. Fantastic question – how does Money Morning New Zealand make money? QS is right that we neither show ads nor do we take commissions from third parties. And your subscription to this e-letter is fully free and will always stay so. In the near future, I hope to release some very specific, actionable reports that will help Kiwi investors tap into a couple emerging trends. My research indicates that these trends could be profitable for early investors…if it plays out how I expect it to. Because of the level of detail…and the heavy research that’s going into this project, these reports will likely come with a price tag. Through that revenue, I’ll be able to continue providing research via that service and this free e-letter. ‘If you make a suggestion that buying a stock may be worthwhile, what is to stop in a very small insular market like NZ for the market to become swamped and the price be distorted as a consequence. ‘Indeed prior to the 1987 crash there were editors of tip sheets suggesting certain stocks and buying large before the tip sheet hitting the market and when it did and the price escalated because of demand, the tipster could then sell and reap the reward when the market had topped itself. Indeed, we are not that kind of tipster, MK. But it’s a very good question. 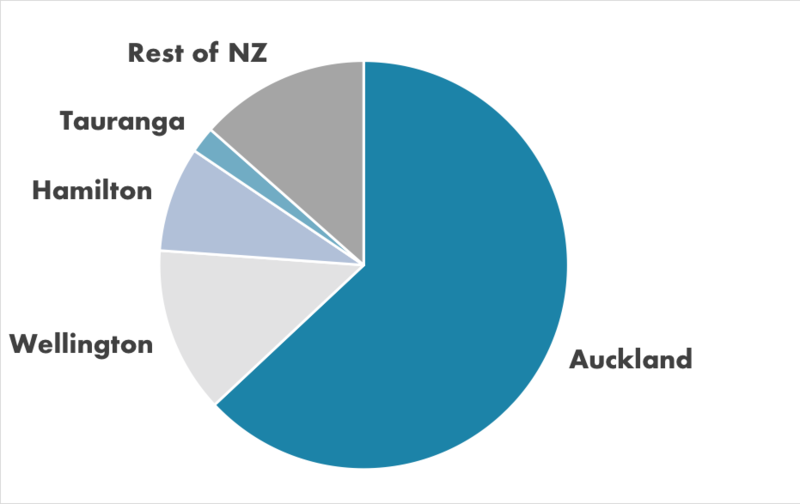 New Zealand’s stock market is relatively small…and a stock recommendation to our reader base could easily have the power to sway that share’s price. To prevent the possibility of conflict of interest, we have a strict Staff Trading Policy in place. And as an extra precaution, I plan to reserve detailed stock recommendations as part of my paid service. That way, I not only provide specific buying instructions (Including a buy-up-to price), but I can also limit the demand to the paid subscriber base only. A command economy is one where the government decides what’s produced, how much should be produced and how much it should cost. Think Cuba, North Korea, the Soviet Union. While most economies these days are a mix of free market and command, it sometimes seems that we’re heading towards a greater emphasis on command…where the state is in control. I’ve seen those posts too, FR. Some savvy kid manages to turn his summer-job savings into millions through crypto trading. It feels a bit unbelievable, but some of these stories are true. Here are a few. That being said, the cryptocurrency landscape is still young…and from a regulation perspective, it’s the Wild West. Lots of scammers and fraudsters out there. I’d avoid sites that ask for you to take a picture of your credit card. That’s most likely a scam. However, many sites will ask for a picture of an ID or similar. That’s fairly normal. Ask around and see if you have anyone in your network who’s had a good experience with an exchange. Probably your best bet! Thank you all for your thoughtful comments and questions.